BIO // Valentina Tanni (1976, Rome, Italy) is a contemporary art critic and curator. Her research is focused on the relationship between art and new media, with particular attention to Internet culture. 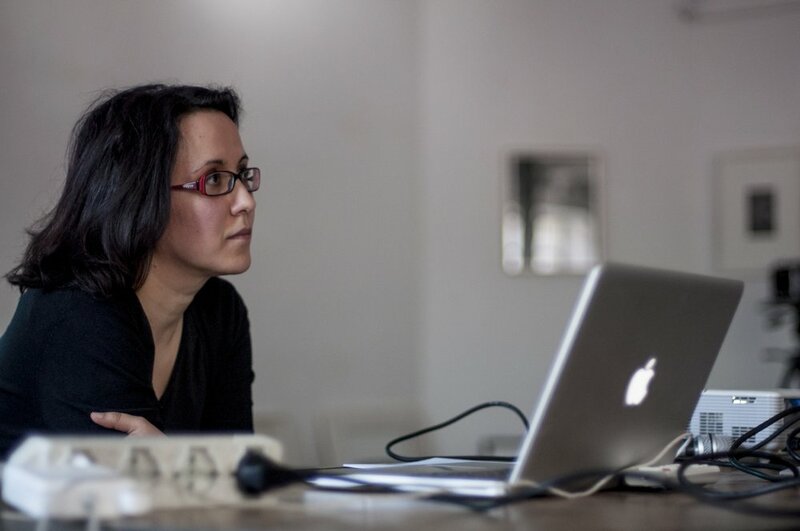 In 2002, she graduated in Art History from La Sapienza University in Rome with a master’s thesis on net art (Net Art.1994–2001), and in the following years she published a great number of articles, reviews and essays about new media art, web culture and contemporary art in general. 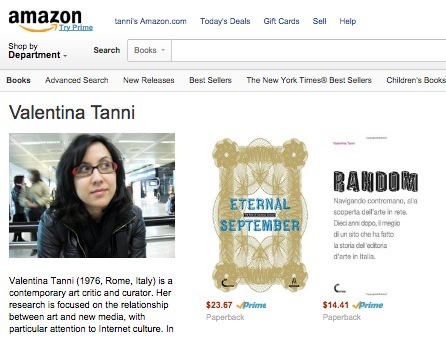 She is the founder of Random Magazine, one of the first web columns entirely dedicated to net art (that also gave birth to a book in 2011, Random, Link Editions), and she is the co-founder of Exibart and Artribune, two important Italian art magazines. She also directed the online version of the magazine FMR (FMR Online). She curated the Net section of the art show Media Connection (Rome and Milan, 2001), the exhibitions Netizens (Rome, 2002), L’oading. Genetically Modified Videogames (Syracuse, 2003), Maps and Legends. When Photography Met the Web (Rome, 2010), Datascapes (Rome, 2011), Hit the Crowd. Photography in the Age of Crowdsourcing (Rome, 2012), Nothing to See Here (Milan, 2013), Eternal September (Ljubljana, 2014), Stop and Go. The Art of Animated Gifs (Rome, 2016 /Ljubljana 2018) and numerous solo shows. She also collaborates with many digital arts festivals and she’s been one of the guest curators of FotoGrafia. International Photography Festival in Rome from 2010 to 2012. She has written articles for Italian and international magazines and she works as a teacher and lecturer for universities and private institutions. She is currently adjunct professor of Digital Art at Politecnico University in Milan. Go to the Portfolio page for a full documentation.